The largest number of mobile applications are available for Android devices. Generally, apps come in two versions; free and paid. 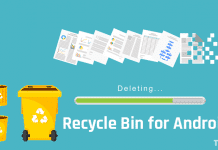 In the free version either contains ads or lack of some features. By implementing ads on an application, the developer earns money. Small size ads are sometimes ok, but full-size ads are very annoying to play a game. As like apps, the same thing happens with browsers. Ads don’t affect on a large-screen device like computer or laptop when you are browsing the Internet, but in case of mobile devices they are not relevant to use. If you have read our previous article on the benefits of rooting, then you know, you can easily block ads on a rooted device. Then how to block ads on Android without root? Because, it is not possible for everyone to root their mobile or tablet. 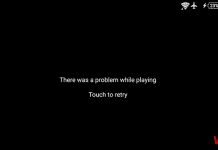 If your mobile data is turned off, then you’ll not see ads on games and apps. However, in case of mobile browsers, you can’t use the Internet by stopping data. Every site contains ads, and you should support them to make the site alive, but in a mobile browser, they are not suitable. 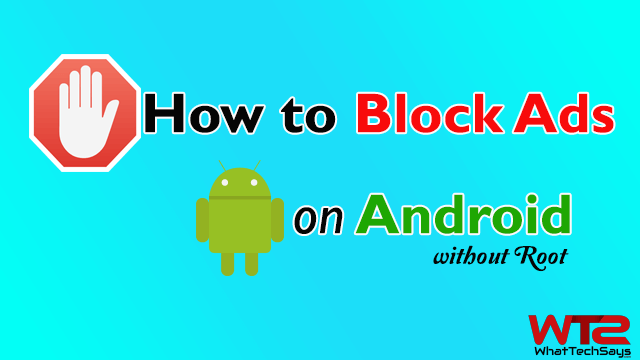 So in this tutorial you’ll learn, how to stop ads on Android Apps, Games and Browsers with or without root. AdBlock Plus is a popular ad blocking extension to block ads on computer, laptop, tablet and mobile. This only blocks ads on browser ads on the computer, but it blocks all ads from Android apps and games. Due to the security issue, it is not available on Google Play Store, but you can download it from its official website. Before proceed to download, make sure that unknown source installation is enabled on your device, or you can enable it by going your phone’s Settings >> Security and turn on “Unknown sources“. Now download AdBlock Plus and install it on your device. When you first time open, it’ll ask you to grant root access. Once granted, you can easily use it by turn on the “Filtering” option. 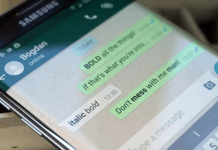 If your phone has root privilege, then you can also block ads on Android browsers, but in case of non-rooted phones, you need to do it in another way. I have shared three amazing browsers to prevent browser ads without any extra work. The developers of Adblock Plus extension are also the developers of this powerful Adblock browser. Once the app is installed, open it and browse any website. It will by default block all the ads on the website you are browsing. 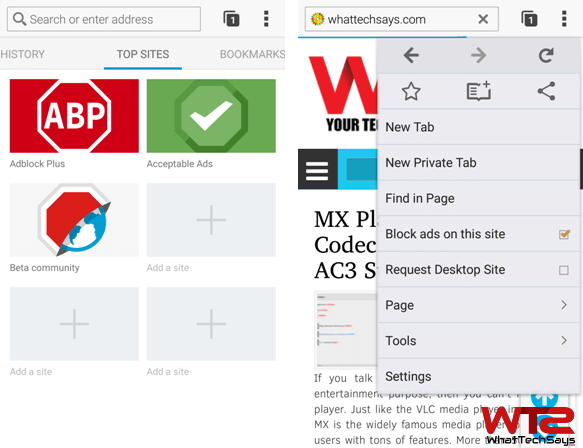 If you want to enable ads on a website, then tap on the three vertical dot icon to the top right and uncheck the “Block ads on this site” option to unblock all the ads on the currently browsing site. Mozilla Firefox is one of the best browser available for all mobile and computer platforms. Chrome browser for Android doesn’t allow to add an extension, but you can add add-ons on Firefox. 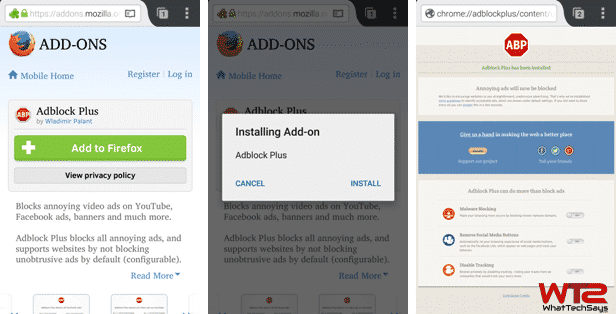 By adding Adblock Plus add-on on Firefox browser, you can easily block ads on Android without root. In BOOKMARKS tab, you’ll get the link for add-on page. Open that link and search for Adblock Plus. Now tap on Add to Firefox button to install it on the browser. In this way, you can easily prevent unwanted ads on Firefox web browser. UC browser is a widely used powerful mobile web browser. This app has many unique features, so people love to use it. If you are a UC fan, then you can easily block ads while browsing. 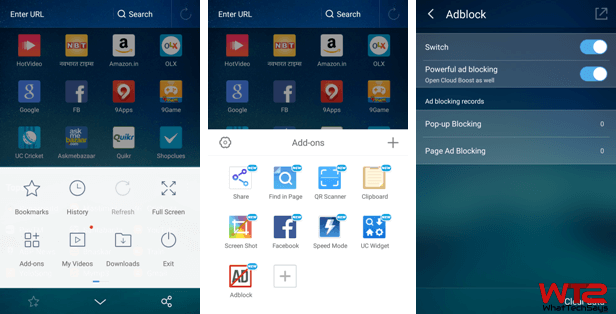 Open options (three-line line button) menu on UC browser and tap on Add-ons button. Now tap on Adblock add-on and enable the two options. That’s it. 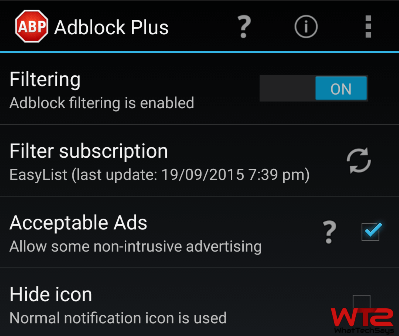 These tips will help you to block ads on Android without root. If you have any question or suggestion regarding this, then feel free to comment below. Adblock plus does not remove ads from apps in Android [if you use mobile data]. Ya, this is only for WIFI users. The better choice is the Adblock Browser.